Home » Blog» How to Develop a Recruitment Strategy for Your Business? How to Develop a Recruitment Strategy for Your Business? If you run a business, it is important to realize the essential assets of a business that help an organization to grow efficiently. One of the significant assets on which the growth and success of your company relies is your staff. It’s your employees who help you create a strong identity in the market. All that a business needs is a team of skilled professionals who have the capability to take your business to another level of success. Well, for this, an organization is required to plan and develop a recruitment strategy that can help you manage all your staffing needs in a well-organized way. Having a well planned recruitment strategy will prevent you from any panicking situations like resignation from an employee, long-duration leave by an employee, and so on. Moreover, no matter what your project requirement is, well-planned recruiting strategies allow you to get your project completed by the ones having expertise in it. So, hire the right people, and see how it helps you boost the performance of your business. 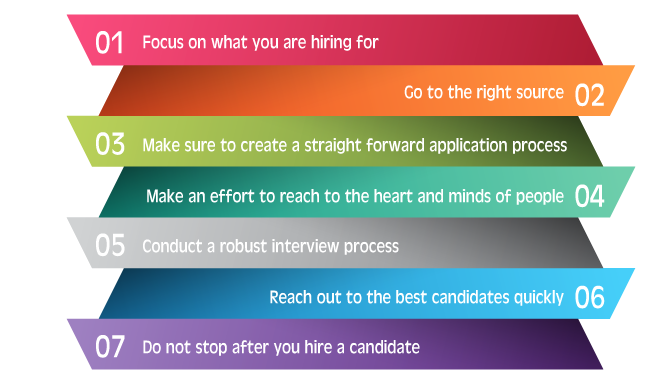 Here are the steps following which you will end up in establishing a successful recruitment strategy for your business. To begin with, it’s important to realize what you actually need. Or else, you might end up in recruiting the candidate who is not efficient enough to meet your needs. So, apart from understanding the skills and capabilities needed for the required position, you must also take into account the kind of person that can fit well in the cultural environment of your organization. It is advised to keep your focus on the accomplishment of your goal successfully. Among the number of recruitment online sites and several recruitment agencies, you must research well about the recruitment site or agency that you are considering. Analyze which recruitment agency can help you find the right candidate for the kind of work you want him to do. Analyze your recruitment staffing process and see if it is simple enough when it comes to hiring. Where a simple and straightforward process will let you come across several skilled employees, a complicated process can give your potential employees a bad experience, which can affect the image of your company. Moreover, this bad impression will not be limited to a particular number of people. It will reach out to a large amount of people whom you might find eligible to be a part of your company. In order to come up with a staffing recruiting process that leaves a positive impact on the potential employees, view your potential employees as consumers. Organizations, in order to attain better results, must endeavor to make an impression in the minds of the people whom they want to hire and retain. Hiring engaged and devoted employees prove to be a multiplying factor for your company as they are the ones who promote your company in a positive way. You can get a right candidate only if you create a set of criteria for the assessment of the candidate who fits best in accordance with your job specification. For this, all you need to do is implementing a robust assessment process. 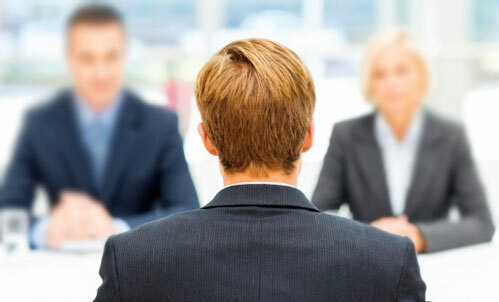 The managers who carry on with the process of interviewing and assessing the candidate must be trained enough to select the deserving candidates only. Hiring a wrong candidate will not only affect the monetary aspects of the company, but will also delay the result of the project that you could have obtained on time if taken the right hiring decision. So, invest your time in choosing the one who is capable enough to meet your requirements at once. It’s a competitive world where every organization is looking forward to hire the best candidate for its company. So, in order to find the deserving candidate for the vacant position, ensure that you take quick decisions in the hiring process. Some of the companies, even after finding the right candidate, put the process on hold while deciding on the factors like compensation package of the candidate, reference checking, and many more. Well, doing so might not give you the opportunity to hire that candidate in your company. Remember, a good employee will not wait long for your decision. He will move on as he gets another better option. So, once you get the right candidate for the required position, close the deal as soon as you can and grab the opportunity to hire the one that can prove to be an essential asset for your organization. Once you have succeeded in hiring a best employee for a vacant position, you are not supposed to stop the process at that point. Assist the candidates to the best of your efforts and let them come onboard so that they can turn out to be effective team members. Moreover, an organization must strive hard to keep their employees engaged in various things. So, consider recruitment as a continue process, or else you might need to conduct the recruitment process again. 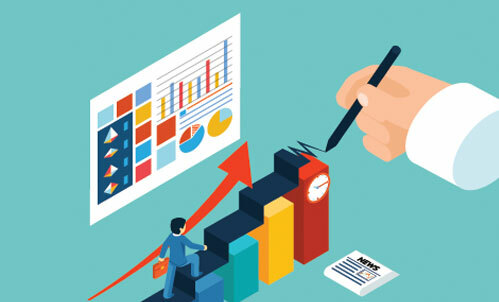 All in all, building effective recruitment staffing strategies that can be easily measure time and again will help you examine the current manpower of your organization as well as the talent gaps that you need to cover by implementing a well-planned and effective strategy. If you find it difficult to acquire efficient results through the above-mentioned steps, opting a reliable recruiting agency will help you meet all your business as well as recruitment motives. Mamsys, one of the celebrated IT staffing and recruiting companies in USA, makes sure to follow all the above given steps to hire the candidate for its various clients. The experts at Mamsys conduct flexible IT staffing strategies and make sure to accomplish the business needs of its clients as and when required. ← What is Strategic IT Staffing Process?